Former Primal Scream guitarist Robert “Throb” Young has died at the age of 49. 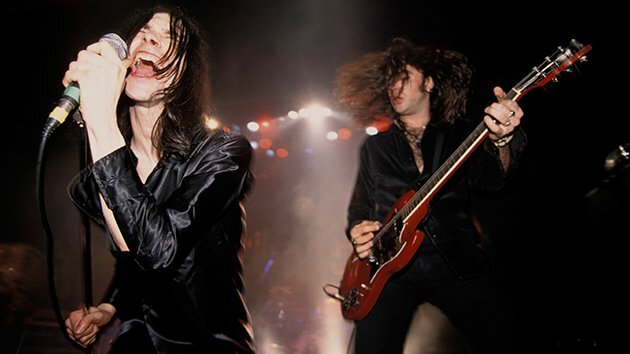 Robert Young founded Primal Scream band with school friend and singer Bobby Gillespie in Glasgow in 1984. They hit the heights with psych-pop album Screamadelica in 1991, which included songs like Movin’ on Up and Loaded and won the first Mercury Prize. Robert Young left the group in 2006 to deal with what Bobby Gillespie described as “problems in his personal life”. His former bandmates paid tribute to Robert Young, calling him a “beautiful and deeply soulful man”. A statement from Bobby Gillespie, guitarist Andrew Innes and other members of the group said: “We have lost our comrade and brother Robert Young. “He was an irreplaceable talent, much admired amongst his peers. “He was a true rock and roller. “He had Heart & Soul tattooed on his arm and I’m sure on his heart too. A spokeswoman for Sussex Police said Robert Young was found dead in a flat in Hove on September 11 and his death is not being treated as suspicious.